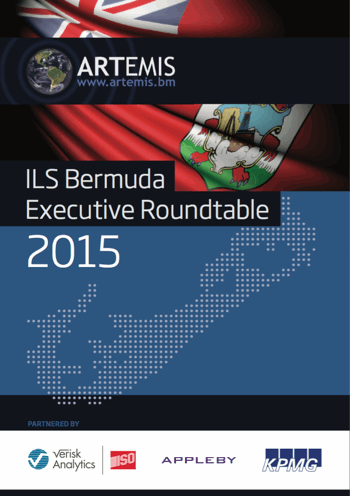 During the 2015 Artemis ILS Bermuda Executive Roundtable, industry executives and experts discussed the potential for ILS to broaden its scope and aid the expansion and influence of the international insurance and reinsurance markets. “The challenge, with ILS is, you’ve got to expand what you mean by that; today ILS is predominantly property cat risk,” said Des Potter, Managing Director, Head of GC Securities EMEA, Guy Carpenter. 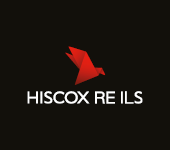 Despite reports towards the end of 2015 and also during the key January 2016 renewals that some ILS, or third-party investor-backed capital was starting to enter casualty lines in a greater way, for the most part it’s still heavily focused on the highly competitive and pressured property cat space – where barriers to entry are lower and the risks are better understood owing to advanced modelling capabilities and vast amounts of historical data. However, as noted by Chief Executive Officer (CEO) of Aon Securities, Paul Schultz, “If you’re not growing, if the pie’s not growing, the alternative market can only get so big. It’s the willingness to write new risks, and creating more innovative financial solutions for clients that’s offering new growth opportunities. Currently, following further rate declines across the majority of re/insurance business lines at 1/1 the global reinsurance market is awash with capital from both alternative and traditional sources, which has exacerbated the supply/demand imbalance and intensely competitive operating landscape. One way to alleviate some of the pressures engrossing the sector, while also creating opportunities for players to enter new risks and regions, is to deploy some of the alternative capital via innovative, efficient structures into new areas, ultimately expanding the reach of insurance. The structures and features of the ILS sector, including collateralized reinsurance, sidecar ventures, cat bond lite transactions, parametric triggers, to name but a few, are a sign of the innovative qualities the space has shown in recent times, a notion highlighted by Tom Johansmeyer, Assistant Vice President, Reinsurance Services, ISO. “The market is evolving to bring the right structures to bear, to people who need to manage the capital most. That’s what’s crucial, I don’t have to choose a 144A traditional, I’ve got choices now, and these developments are exactly why cedents have the choice to manage their capital effectively,” said Johansmeyer. So the structures and capacity are there, and as ILS investors and sponsors alike continue to enhance their understanding of the asset class and mature in terms of knowledge, willingness and sophistication, the ability to utilise the ILS space in a more meaningful, influential manner becomes clear. “There’s a fundamental opportunity here now, in this timeframe, to use this alternative capital as a means to expand the insurance market as opposed to simply trying to reduce the cost of reinsurance, which is a very narrow objective. It would be unfortunate if that’s all that happened,” said Samir Shah, formerly of AIG. Whether increasing insurance penetration levels in emerging markets like Asia-Pacific, parts of Latin America, China or India, among others, or making more affordable protection available to some of the world’s more developed markets, like U.S. flood, ILS capacity and solutions could be used by primary players and traditional reinsurers to support their expansion into new regions and perils. Entering new markets will increase the demand for reinsurance, which in turn will remove some of the excess capital in the space and perhaps contribute to a turn from the softening market environment. Shah underlines that while the market has a lot of capital, “and we should fill the protection gap and we should find ways to put that capital to work,” in places like California, for example, it’s actually the cost of that capital that hinders insurance consumption. By utilising the wealth of efficient ILS, or alternative reinsurance capital to supplement existing re/insurance programmes, or to establish innovative and new solutions, companies could reduce operating costs that could result in a cheaper product to the end consumer, another driver of increased demand.